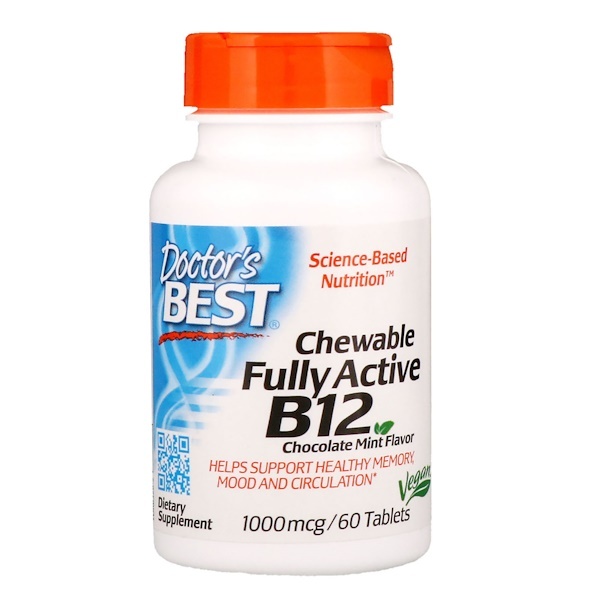 Doctor's Best Chewable Fully Active B12 is a fast acting and pleasant tasting vitamin B12, provided as MethylCobalamin, its most biochemically active form. 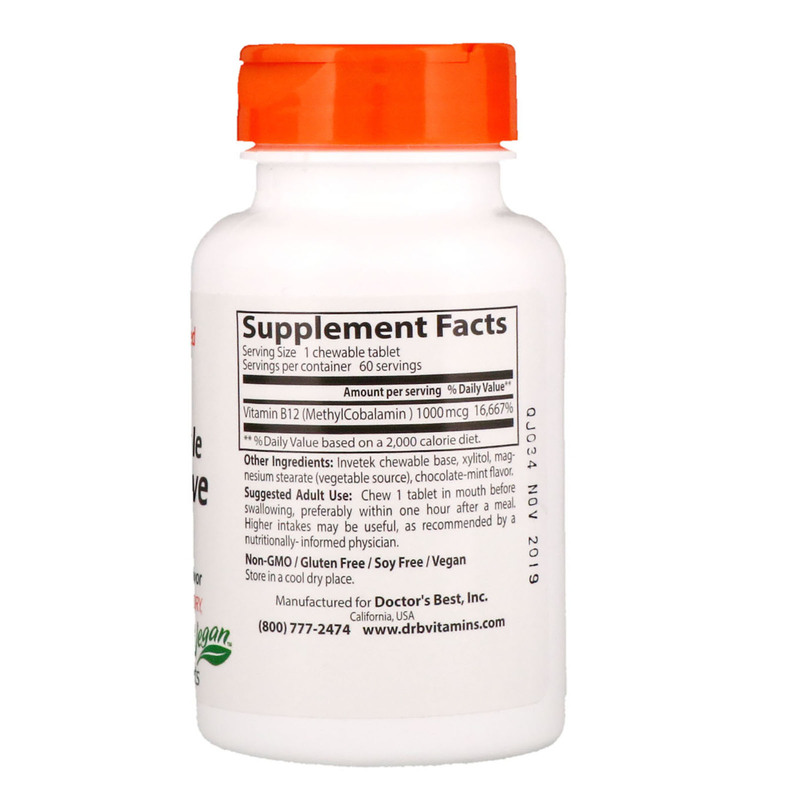 Vitamin B12 is essential for healthy mood, memory management and for fundamental life processes such as healthy gene regulation (epigenetics), nerve cell communication, and the recycling of homocysteine, a potentially toxic metabolite, from pregnancy through old age. Chewable tablets help ensure rapid B12 action. Chew 1 tablet in mouth before swallowing, preferably within one hour after a meal. Higher intakes may be useful, as recommended by a nutritionally-informed physician. Invetek chewable base, xylitol, magnesium stearate (vegetable source), chocolate-mint flavor.